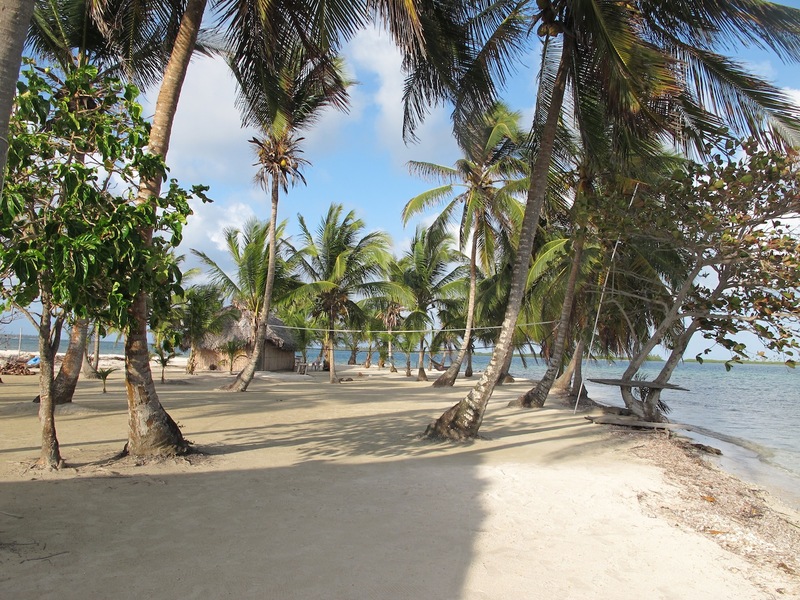 We’d been told by so many people not to miss the San Blas islands that we just had to visit, despite the clock ticking on our Panama Canal transit. 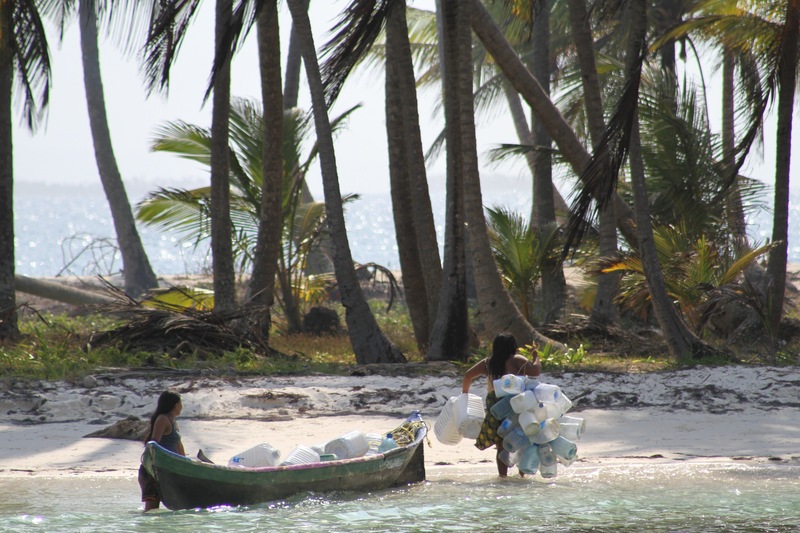 They’re a unique archipelago of over 340 islands and home to the indigenous Kuna Indians, who have managed (mostly) to preserve their customs and culture despite the ever-growing number of tourists to the area. 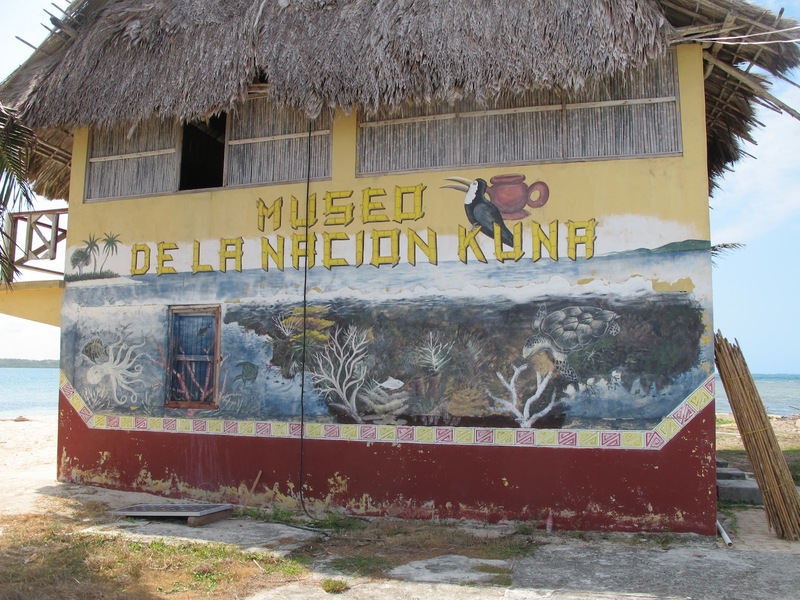 Although officially part of Panama, the area is governed autonomously by the Guna Congress who charge a fee ($20 for the boat and $20 pp) to visit the islands. 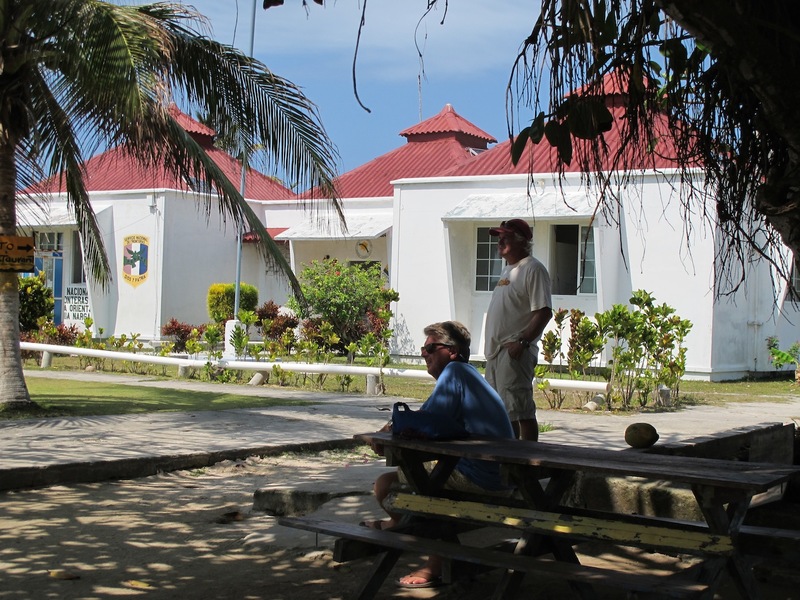 Our first stop was the little island of El Porvenir, headquarters of the Guna Congress and official port of entry for Panama. 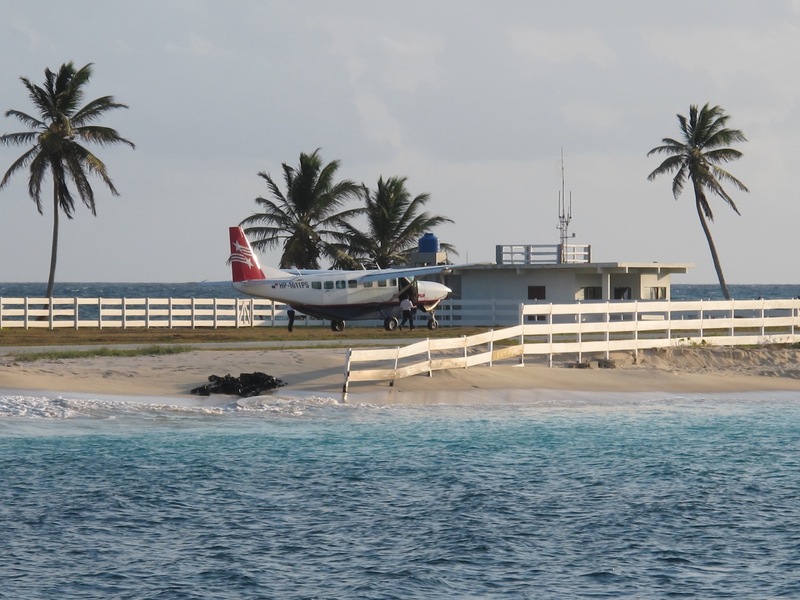 It also has an airstrip that looked impossibly short, but obviously long enough for the plane that landed soon after we arrived! Not sure i’d enjoy this plane ride – the runway looks scarily short! 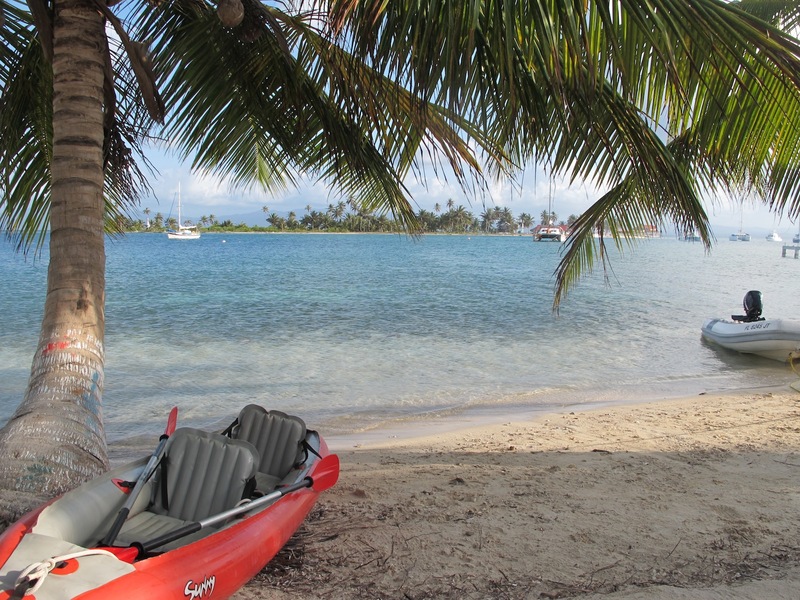 We dinghied ashore to discover the Immigration Officer had gone to another island…. We’re getting very good at waiting now! But there are worse places to wait, and he returned within about 15 minutes. 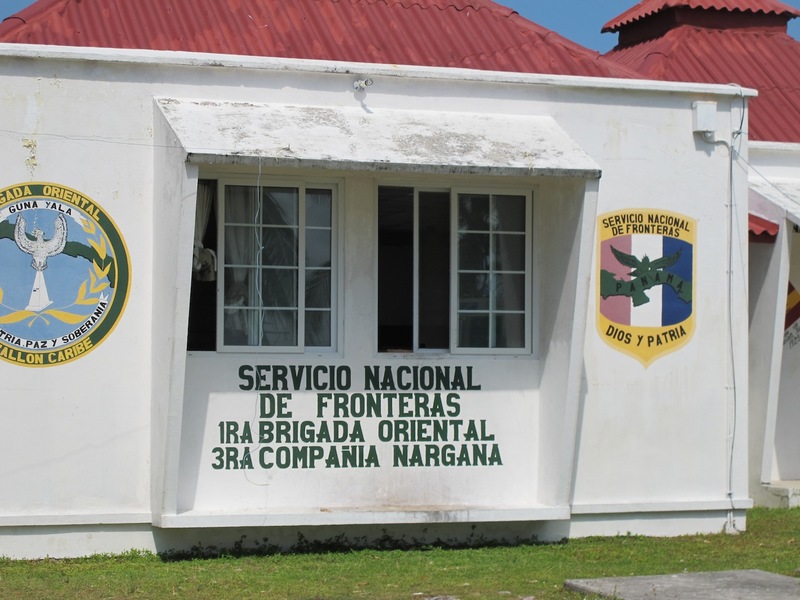 Customs, Immigration and the Guna Gongress occupy separate rooms in the same building so it was a pretty easy check-in. Except on the wallet. 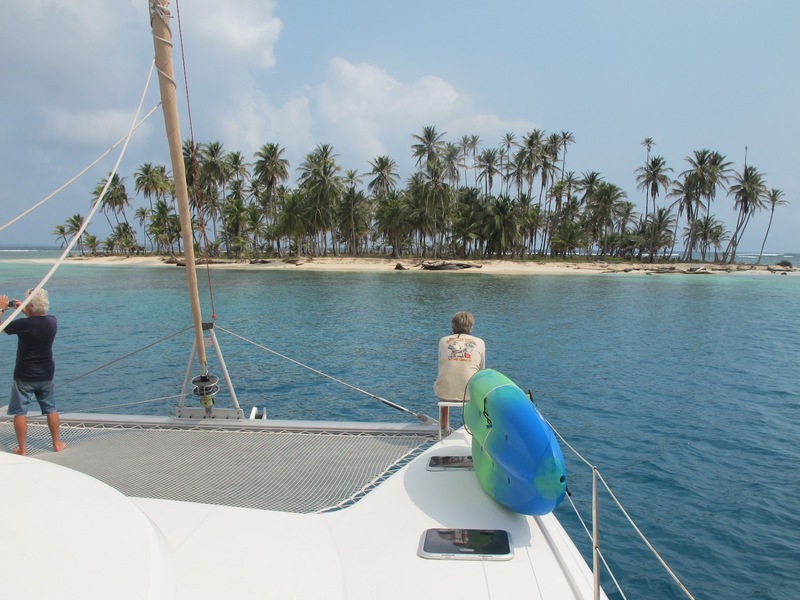 For the pleasure of being in the Republic of Panama, you pay US$193 for the boat’s one-year cruising permit (regardless of whether you stay only a few days) and US$105pp for the individual visas. Ouch! 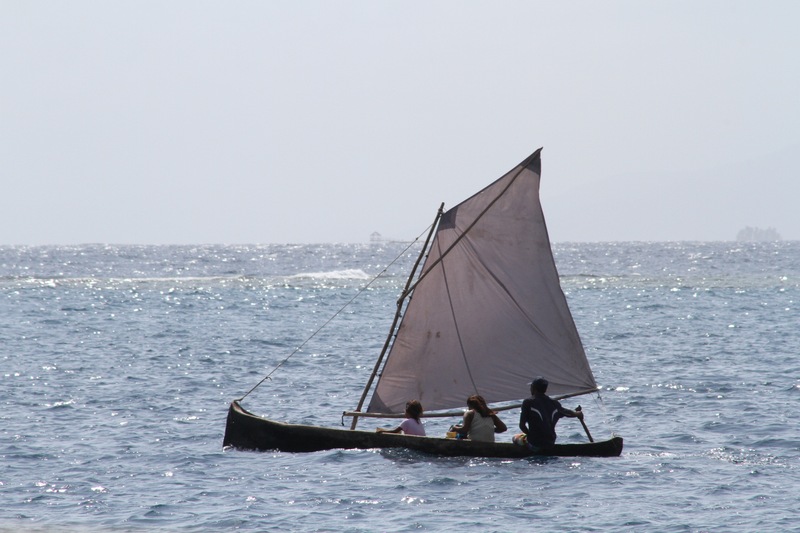 It wasn’t long before we were approached by a local dug-out, or Ulu, manned by Hector, his wife and two daughters who were selling the famous Molas – beautiful appliquéd squares of fabric, hand-stitched and many-layered, depicting marine life or birds and animals. They were very pleasant to deal with, but it was difficult to decide with so many choices! The going price seems to be US$20, plus a couple of biscuits for the kids! 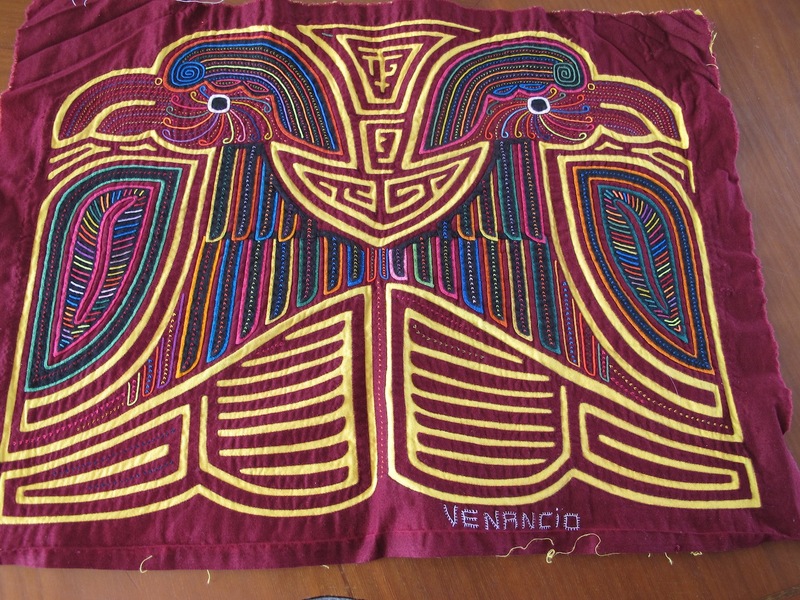 One of several Molas I couldn’t resist! 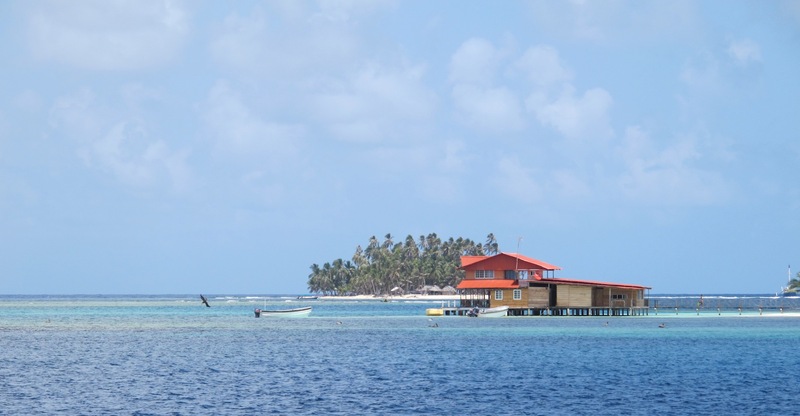 Because we only had a week, we decided to do a small circuit of the western islands of San Blas, less inhabited than the Eastern end but renowned for their clear water and sandy beaches. 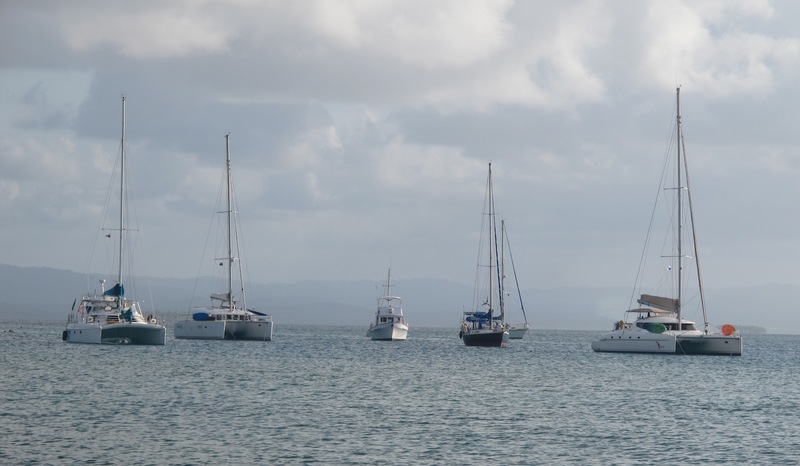 They may be off the beaten track, but they’re certainly not remote – we were gob-smacked to see the number of yachts crowded into the most popular anchorages. Not much seclusion to be had here! 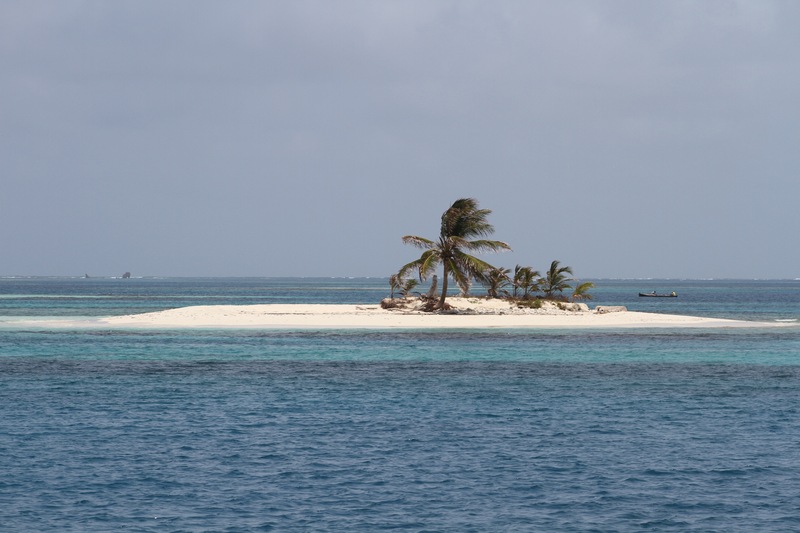 Our first stop was the beautiful Coco Banderas Cays – the Eastern anchorage was already full with a French contingent of cats and monos, but we still found a good protected spot between two of the islands . Not much room to swing a cat here! 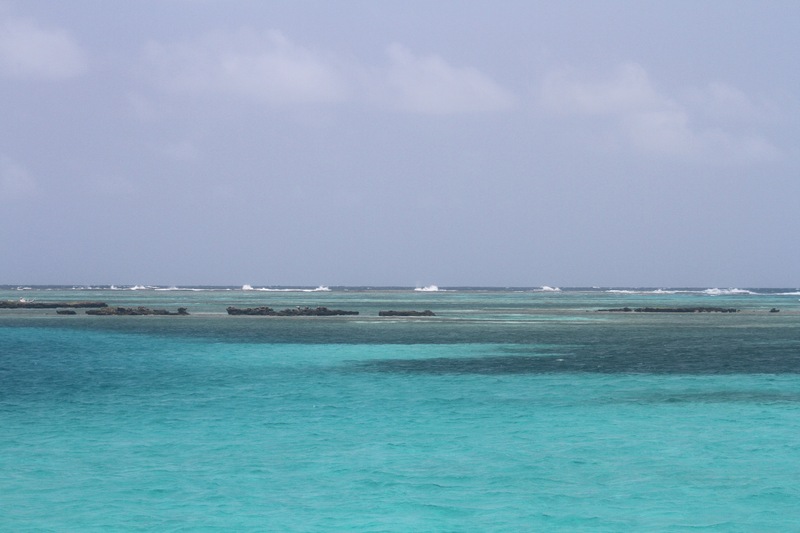 this 52’ Beneteau had hit the reef just a couple of weeks before we arrived. Bought by a 70-year-old solo sailor whose intention had been to sell it when he got to Australia, it was a sad and sorry sight stripped bare on the reef. 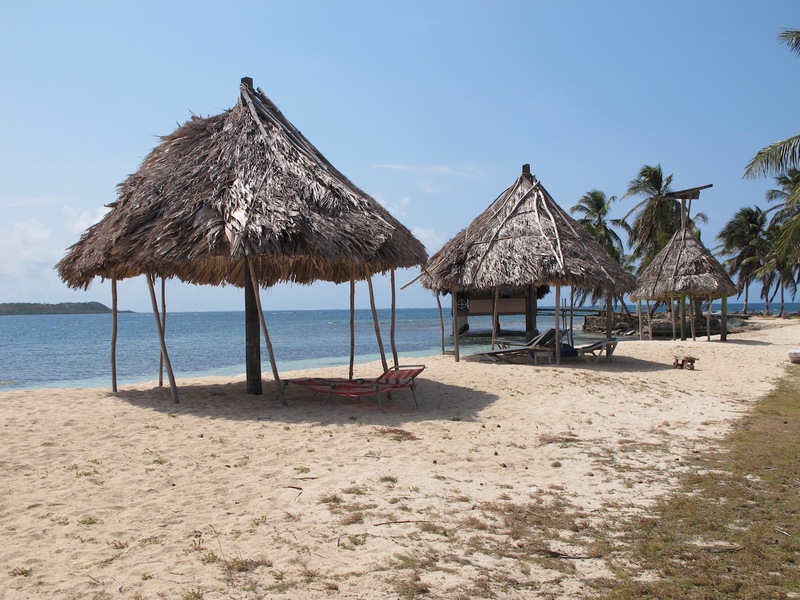 But no wonder people want to come to these islands – the place is simply stunning, with the combination of reef, clear blue water and all those coconut palms – each and every one of which is owned by a Kuna, so visitors are expressly forbidden to take any, even if they’re lying on the ground. 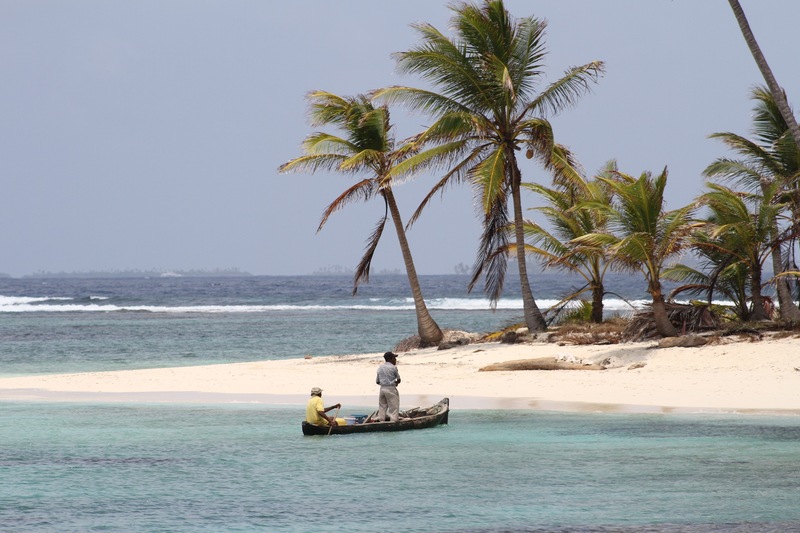 The coconuts are a main source of income for the locals, who live a very simple life subsisting on fishing and what they make on Molas and anchoring fees for visiting yachts. 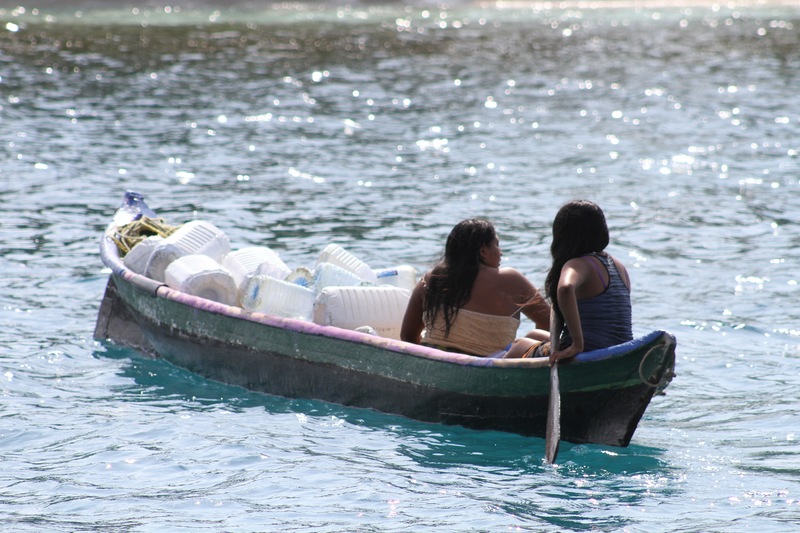 On the small island next to us was a fresh-water spring, and we watched the daily grind of water-collecting by the women. No such thing as turning on a tap here! On our second day the local fishermen came by selling lobsters. How could we resist at $5 each?? So we snaffled up the three largest ones and that night feasted on barbecued lobster and garlic butter, feeling incredibly privileged and just a little bit decadent. 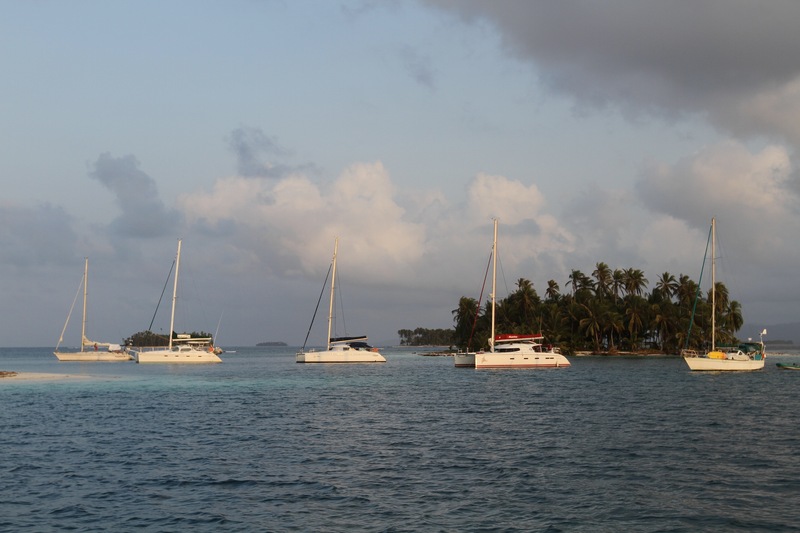 The following day we motored to the Western end of the Cays and anchored at Orduptarboat. 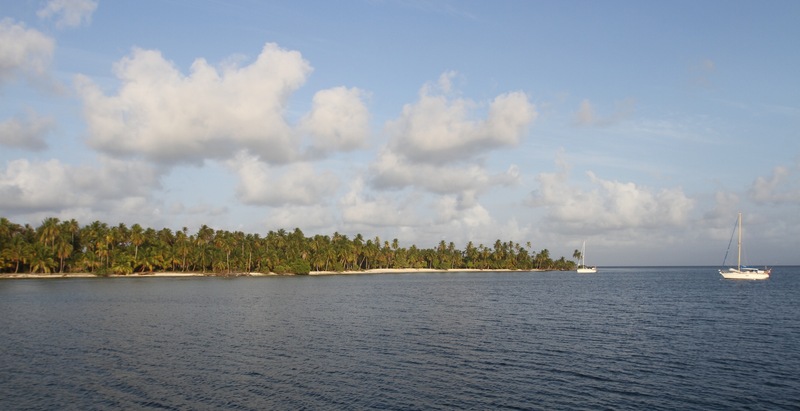 This was a smaller anchorage with space for only about 3 boats, but we had a great time snorkeling here, seeing spotted rays and a nurse shark, and some pretty fish and coral. 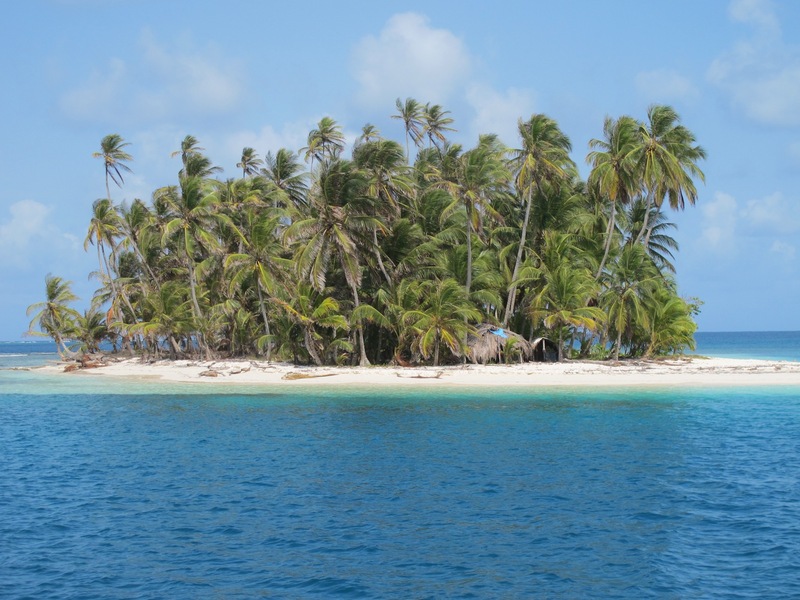 Our next stop was the Holandes Cays, another very popular spot. We stayed one night at the “swimming pool’ anchorage, aptly named because of the crystal clear water, but again it was pretty crowded. 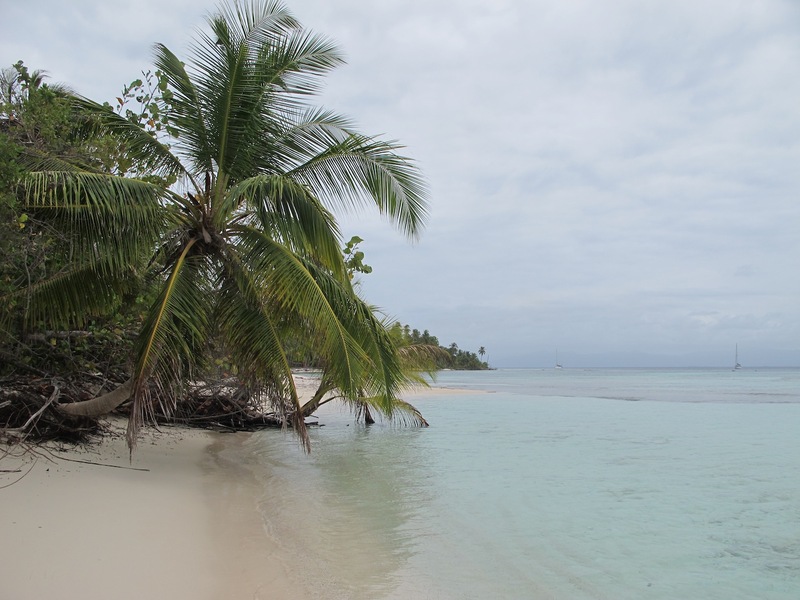 With not much in the way of good snorkeling we moved further west to Waisaladup anchorage, which was probably our favourite spot in the San Blas – it was pretty, not too busy and the snorkeling was great, with lots of rays and fish life. Geoff even found a ‘lobster rock’ with about 5 of the critters huddled underneath it. 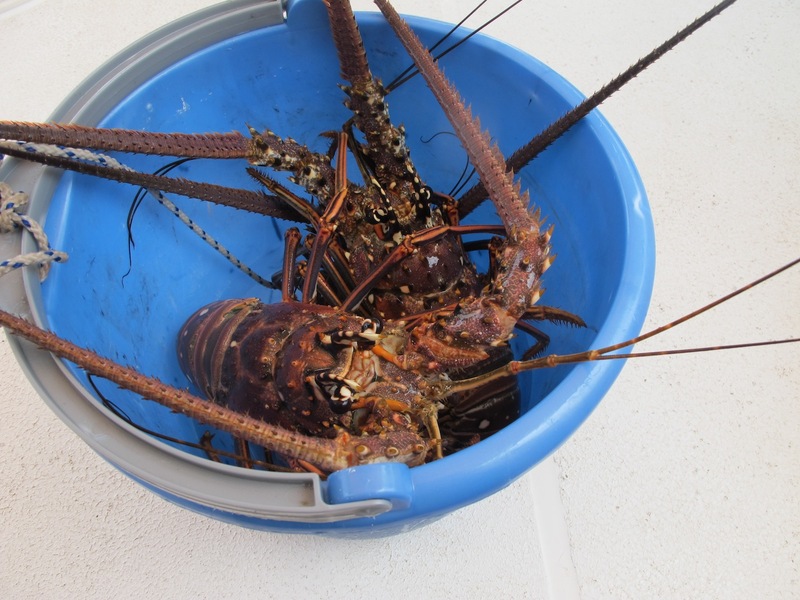 The thought of catching our own lobsters for dinner was very enticing but after several good looks Bruce declared they were too small, so they had a lucky break that day! 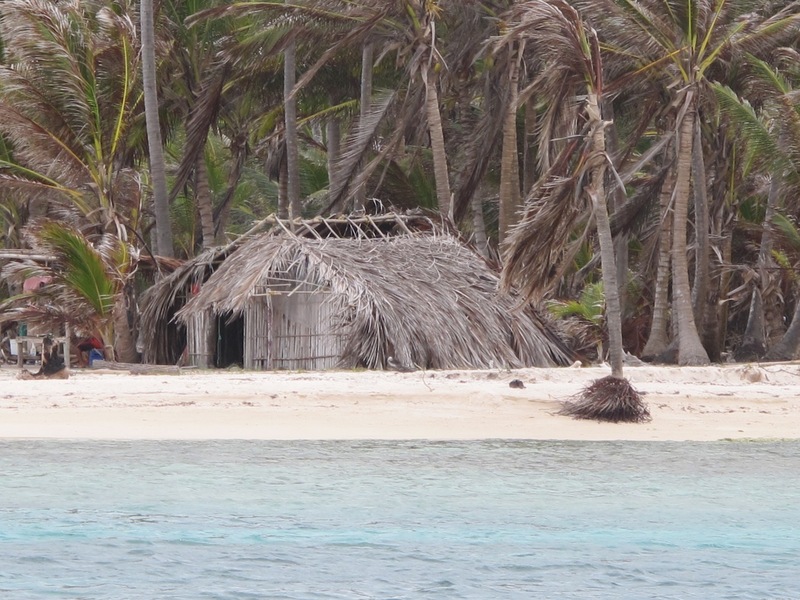 Our last anchorage was West Lemmon Cays. The water here was quite murky and it was definitely more commercialized, with tourist boats ferrying people from the mainland to the restaurant and bar on one of the islands. 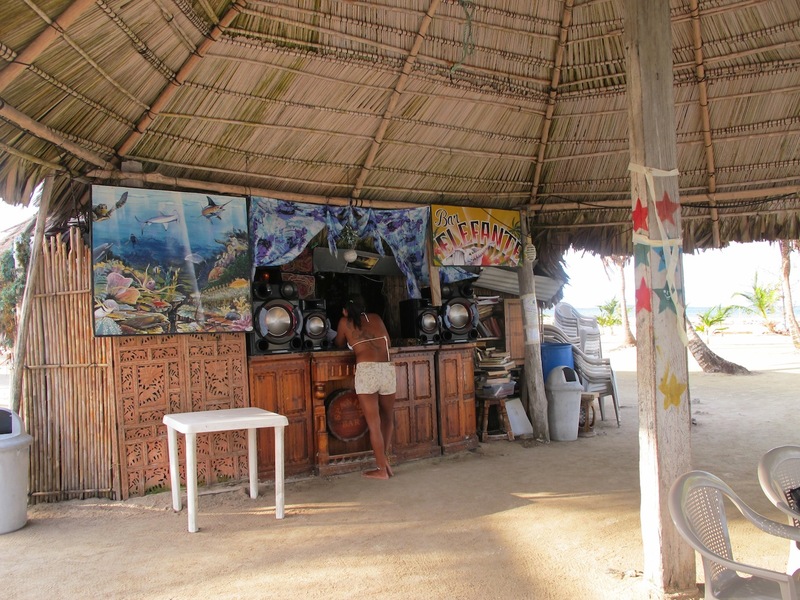 That evening we went ashore to Elephante Island, which seemed to be more of a cruiser’s hang-out, with the Elephante Bar providing a bit of a focus. My God, that looks to be one of the most beautiful and idyllic places on the planet! Very hard to tear ourselves away, Linda. Wish wish wish we’d been able to have more time there. lol Rosemary – it was definitely tough! Wow just fab, but ouch what a price…. Yep, they know how to sting you in Panama Sue!